Bruce cheever has traveled the world searching for beautiful scenes to paint. The Italian countryside offers many magnificent landscapes. 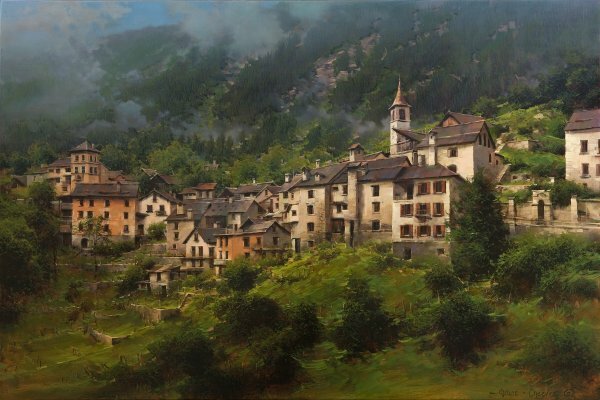 The rustic charm of the Old World village, set against a dramatic sky, brings the romance and charm that make Italy such a feast for the senses. Travel with this talented artist to the hills of this amazing country.